The amazing Strandbeast HEXBUG features an incredible walking action mechanism that is almost beyond belief! Eight legs are arranged in four pairs with the infrared hand controller able to operate each or both sides of the creature at once. This enables the operator to move the Strandbeast in a huge variety of ways – backwards, forwards, sideways or even in a circle. Suitable for kids of 8 and over, they love the choice of five translucent colours which means the complex inner workings are visible at all times. This is great news for science or engineering students. Multiple robots can be operated together from one controller to create an incredible display of marching HEXBUGS. 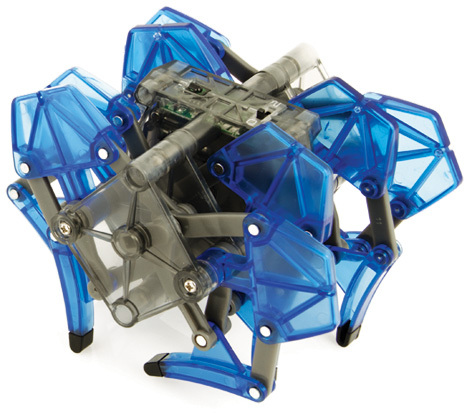 Please tell us what you think of the Strandbeast by Hexbug.